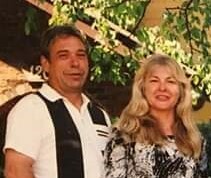 Rolf passed away with his loving companion by his side on Friday, February 1, 2019 at the age of 62 years. Beloved partner of Yvette Hachey. Cherished son of Berta (the late Helmut) Kwitschau. Dear brother of Manfred Kwitschau (Carlotta), and nephew of Margaret Welker. Lovingly remembered by many friends and neighbours. As per Rolf’s wishes, arrangements are private and in the care of Blair & Son Funeral Directors Perth. In memory of Rolf, contributions may be made to the Canadian Cancer Society – Wheels of Hope Program.